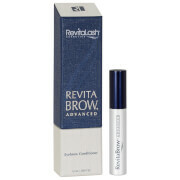 Enhance and intensify your eyes with the Volumizing Primer from RevitaLash. 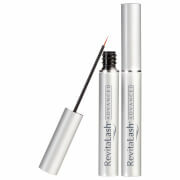 The eyelash primer adds color, definition and volume to lashes to create the perfect mascara base. With a potent recipe of Peptides and Natural Plant Waxes, the nourishing formula conditions and softens the delicate hairs while strengthening from root to tip to protect against breakage. The formula coats each lash evenly without clumping or smudging, imparting a deep indigo blue tint that augments the look of mascara. Lashes are left full, fluttery and thoroughly healthy. Apply to bare lashes, wiggling at the base of the eyelash and twirling upward and outward. Water/Aqua/Eau, Glyceryl Stearate, C18-36 Acid Triglyceride, VP/Methacrylamide/VinylImidazole Copolymer, Cetyl Palmitate, Stearic Acid, Euphoria Cerifera (Candelilla) Wax, Propylene Glycol, Steareth-20, Copernicia Cerifera (Carnauba) Wax, PVP, Steareth-2, Caprylyl Glycol, Triethanolamine, Phenoxyethanol, Hydroxyethylcellulose, Magnesium Aluminum Silicate, Urtica Dioica (Nettle) Extract, Glycerin, Myristoyl Pentapeptide-17, Panthenol, Chlorphenesin, Sericin, Disodium EDTA. May contain: Ultramarines (CI 77491, CI 77492, CI 77499). I think it's a nice thickening formula. It has a slightly waxy consistency. So it keeps my curled lashes somewhat curled. My only qualm is that it still makes them lose a bit too much curl. Besides that it's a striking blue color wet, that dries to near black, nothing flashy but still adds dimension and light and also because it's not pasty white it can be worn alone. I typically would not repurchase a primer that doesn't hold the curl but we'll see.